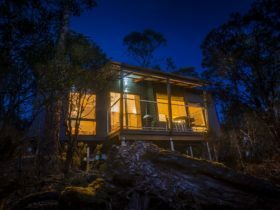 The Waldheim Cabins offer a wilderness accommodation experience within the Cradle Mountain National Park. Cradle Mountain is located at the northern end of the Cradle Mountain-Lake St Clair National Park. The National Park is a two-hour drive from Launceston (144 km) and an hour-and-a-half from Devonport (83 km). 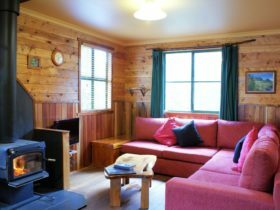 There are eight cabins in total, located behind Waldheim Chalet, the home built by pioneer Gustav Weindorfer in 1909. The cabins accommodate between four and eight guests in single bunk beds; guests should provide their own bedding. Each cabin has cooking facilities and there are electric heaters located in all cabins. The Waldheim Cabins have shared amenities blocks close by, each with showers and toilets. 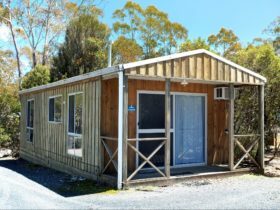 The Cabins are located in the heart of the day-walk zone at Cradle Mountain and offer easily accessible short, half day and full day walks. Options include the Weindorfer’s Forest Walk, and the popular Dove Lake Circuit. For a greater challenge there is the walk to Marion’s Lookout or the summit of Cradle Mountain. 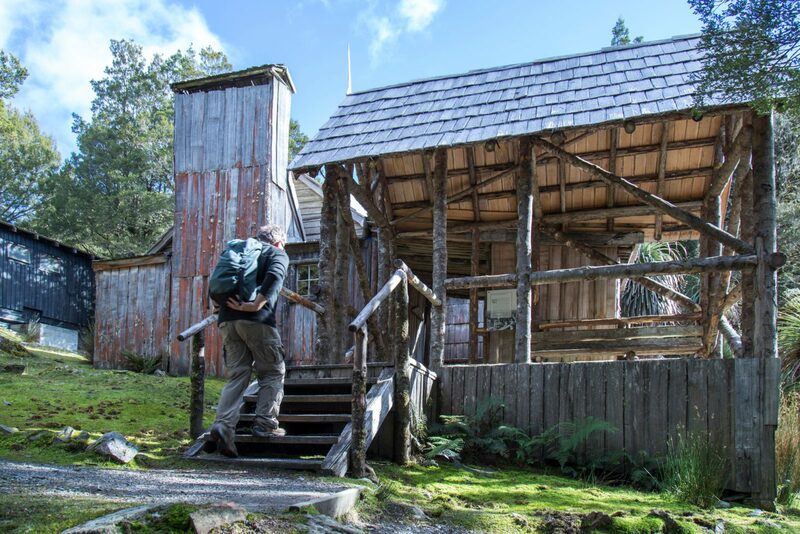 The starting point for the famous 65 km Overland Track is also easily accessible. 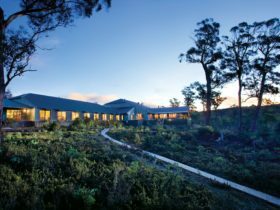 At dusk, you can watch for grazing wallabies and wombats on the nearby open plains.